Is that goofy little smiley face icon just not cutting it anymore? 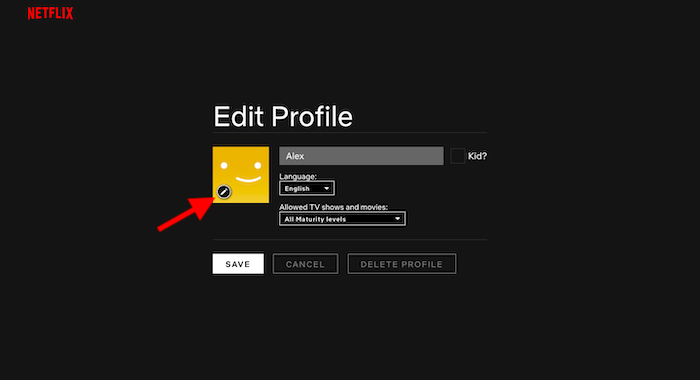 If you’re ready to add a little personal flair to your Netflix account, changing your icon is quick and easy. On shared accounts especially, using a custom avatar is a great way to stand out from the crowd. 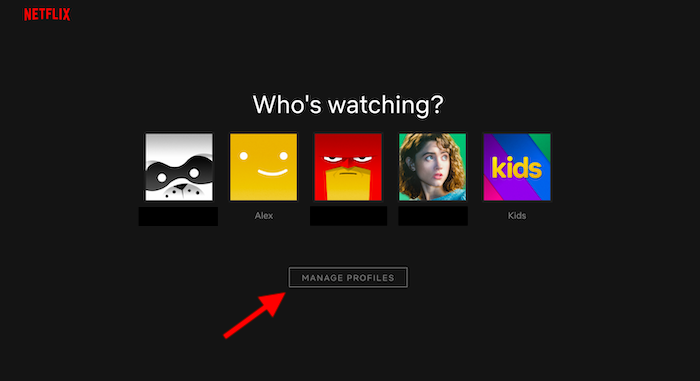 If you’re ready to spruce up your Netflix account, read on and we’ll show you how to change your avatar in just a few simple steps. 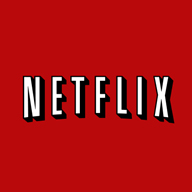 Firstly, you’ll want to pull up Netflix on your device of choice. Though there may be slight variations based on the device you’re using (like, say, a PS4), this process is pretty much universal anywhere you’re using Netflix. 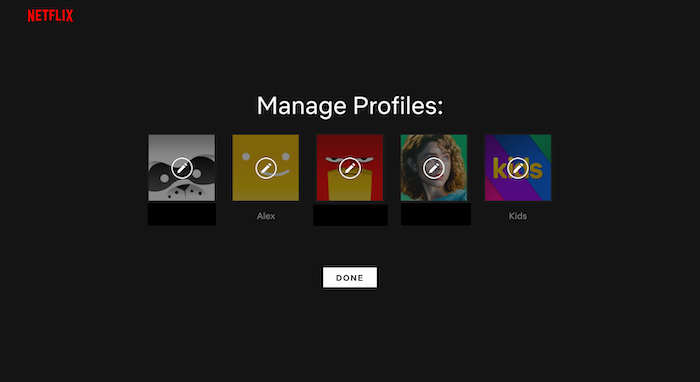 Once you reach the login screen, you’ll see your own profile and the profiles of anyone else sharing the account. You should also see a button towards the bottom of the screen labeled “Manage Profiles.” Click it. Once you’ve clicked the “Manage Profiles” button, the screen will change slightly. You should see tiny pencil icons floating over the different account avatars. Click the icon floating over the account you’d like to change the avatar for. 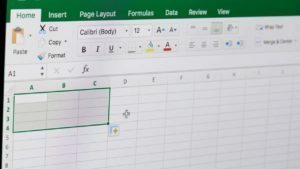 Clicking that pencil icon will take you to the “Edit Profile” screen. 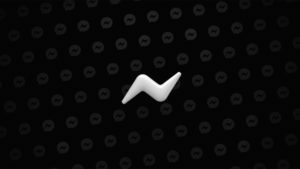 Here, you’ll have the options to change a variety of settings and preferences, such as your display name and preferred language. You’ll also see your avatar again, and once again, you’ll see a tiny pencil icon located in the corner of the avatar. 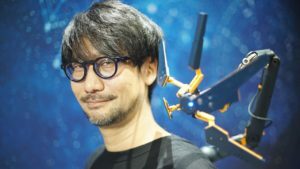 Click it to edit your profile image. Now it’s time to make the important decisions. After clicking that pencil icon, you’ll be taken to the avatar selection screen. 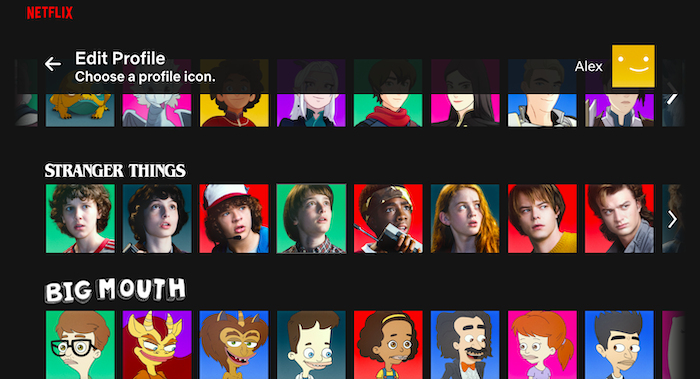 Here, you’ll find a library of icons and avatars from various Netflix shows, from Stranger Things to House of Cards and beyond. There are quite a few to choose from, so take a look through and pick an avatar that fits your own impeccable tastes. 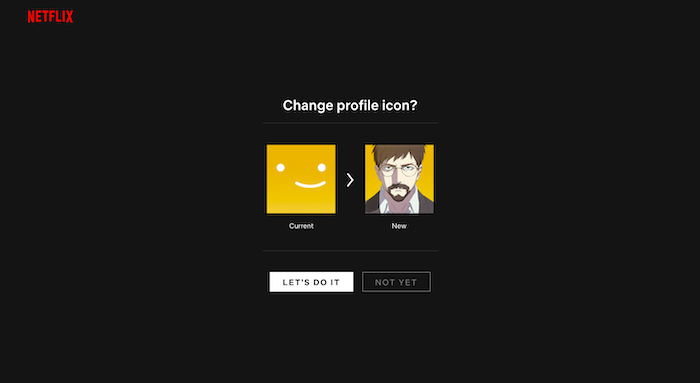 After clicking on the avatar you want, you’ll be taken to one final screen to confirm that you’d like to make the change. If you’ve found the avatar for you, simply click “Let’s Do It” and you’ll be taken back out to the Edit Profile screen. You can then save your changes and enjoy your stylin’ new look. If you decide at any point you need another makeover, you can change your avatar at any time by following the steps listed above.